New York, New York, as Frank Sinatra said, is the city that never sleeps, and with its bright lights on Broadway, its small venue comedy shows and its horse and carriage rides through Central Park, you may not find time to sleep in The Big Apple either. This is the city where you can wake up to a morning helicopter ride over Lady Liberty, dine on international cuisine, step from Little Italy into China Town, pay your respects at the 9/11 Memorial, and stroll in a tranquil botanical gardens before taking an elevator to the top of the Empire State or Rockefeller Buildings. The city is easy to navigate by public transport but it’s even easier for visitors to get around with the help of the Hop-On Hop-Off City Sightseeing Bus. Alternatively, the state capital offers a variety of bike tours, private bus tours, and bike tours, as well as priority entrance tickets to some of New York’s top attractions so you can make the most of your time in The Big Apple. At New York’s best museum you can learn about natural history and the history of immigration to the USA. Artists can lose themselves in the Metropolitan Museum of Art and culture lovers can take part in a Harlem Gospel. 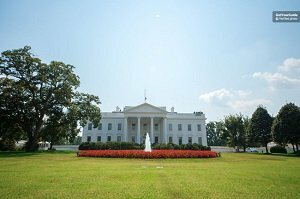 For visitors who like to get out of the city, recommended tour operators can take you to the neighbouring US Capital to visit Washington DC, the Whitehouse and the Senate. It is a journey to the observation platform of the Empire State Building, which offers great views. An opportunity to see two interesting exhibitions. See top attractions of the Big Apple from a great perspective. Take fantastic photos of NYC from the observation platform. Examine a unique exhibition depicting human ambition and sustainability. Admire the Art Deco style of the Empire State Building. Free Wi-Fi throughout the building's premises. They state for the most part that a visit to the observation deck and attending exhibitions are worth the price. Furthermore, they enjoy observing the city from this vantage point. Visiting the Empire State Building is the right thing for fans of architecture, history and photography. People of all ages enjoy coming here. A useful city pass allowing you to benefit of various discounts while visiting NY. The card providing its holders with discounts at attractions, eateries and shops. The pass that adds walking and biking among other guided tours. Enjoy the city of New York and discover the city while making huge savings on ticket fees. Have the option to join guided tours by bus, bike and on foot. Pay less for eating and shopping. An opportunity to choose how many of them to visit and pay the price of the Explorer Pass accordingly. Most of them underline the usefulness of this city pass. 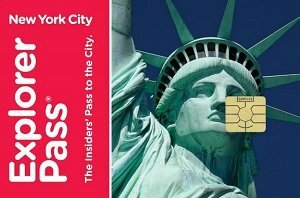 The New York Explorer Pass is very helpful to all people visiting NYC. Regardless of what interests you, the pass has an option for you. An introductory tour of one of the biggest attractions of New York and a chance to learn the history of immigration in New York. A visit to places offering great views of the city's skyline. The tour takes you to a few museums. Examine the Lady Liberty from a distance and up close. Visit the Immigration Museum and the Statue of Liberty’s Pedestal. Learn about immigration on Ellis Island and at its museum. Ferry tickets for two-way journeys. Expert guidance along the way. Visits to the Statur of Liberty and the Ellis Island museums. Most reviews praise the organization and quality of the guided tour. Their comments imply that the tour is very informative and entertaining. The guided tour is the right activity for people of all ages and interests. A cruise around Manhattan Island in New York. 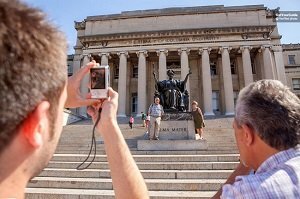 A chance to see many of the city's landmarks during a single tour. An opportunity to learn a lot about the Big Apple in just a few hours. Cruise around the popular island of NYC. See the Statue of Liberty up close as you sail by the monument. Examine other landmarks and listen to the live commentary. The company of the tour guide. Free wireless internet (Wi-Fi) on board the vessel. In general, travellers indicate that the cruise is an interesting activity. Most reviewers say that the cruise if great value for money. Unless you feel uncomfortable on the water, you will enjoy the experience very much. An opportunity to visit a vantage point with some of the most amazing views of New York. Have a memorable experience while observing the city and its attractions. 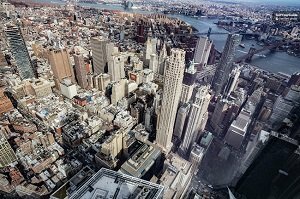 Visit the observation deck and take photos of the New York City's buildings and attractions from way up high. Learn how the Rockefeller Center was designed and constructed. A visit to the observation platform. A priority entry that allows you to bypass the lines. Travellers comment on the friendliness and the helpfellness of the Rockafeller employees. The reviewers also say that the observation platform of the Rockefeller Centre is enven better that the one at the Empire State Building. Unless you’re afrain of heights, a visit to the Top of the Rock will be an exhilarating experience. Ideal for adults and youngsters alike. An opportunity to see the New York City from a unique perspective on a helicopter ride. Choose the duration of the flight and how many places you will visit. Listen to the narrative provided by an experienced pilot. Fly over New York and examine the city from a bird's perspective. Take exceptional photos of New York's landmarks. Enjoy the accompanying audio commentary. The flight duration is between 12 and 30 minutes depending on which tour your choose. Narrative by the pilot and guide. In general, travelers are extremely satisfied with the experience. Most of them would take the tour again anytime. The tour is ideal for anyone who isn't height-sensitive and willing to have a unique experience. A tour offering an insightful and comprehensive overview of the city of New York. 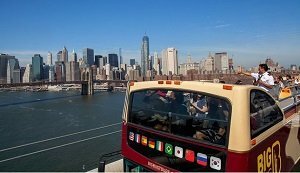 Discover the Big Apple as you combine ride in a private tour bus with guided walking tour. The route covers museums, famous places and areas. Get between points of interest by bus and take an occasional stroll. Benefit of the commentary of a live guide who can reveal interesting facts and stories about the city. Discover Manhattan, Chinatown and Central Park among many other places and sites. The sightseeing bus with the commentary. The tour is led by a professional local guide. The prevalent opinion of the travellers is that the tour offers a great introduction of the big city. They were also pleased with the guided service provided. The tour is right for people with average fitness levels. It is particularly useful to travellers that are in New York for the first time. The place where the World Trade Center stood until September of 2001. The memorial ground paying tribute to the victims and to the efforts of the members of public services. 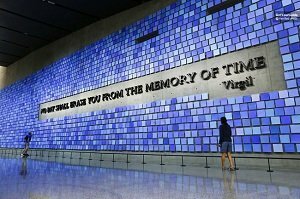 A tour that reveals various information about the 9/11 attack. 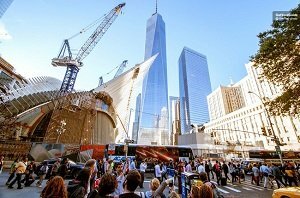 Visit the historic place of the 9/11 attack. Hear the details about the related events and the background that led to the attack. Tour the memorial grounds and the museum that pays the tribute to the victims. Priority entry tickets to the 9/11 museum. Tourists have a high opinion of the package that reveals a lot about one of the saddest days in recent American history. Some agree that you need to plan a few hours for this activity. If historic stories of heroism and sacrifice interest you, the tour is right for you. The museum may be upsetting for some visitors. 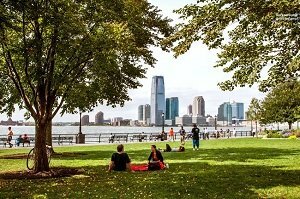 This is a tour that takes place at Battery Park in the southern part of Manhattan. After the guided tour revealing places of interest in the park, the self-guided tour of Liberty and Ellis Islands takes place. 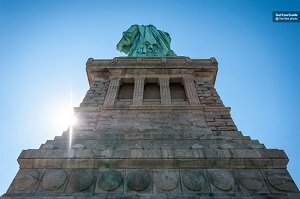 Visit the Statue of Liberty and the Immigration Museum. 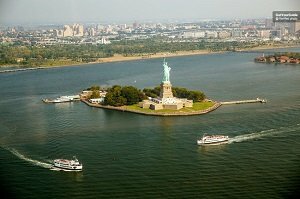 Take a guided tour of Battery Park and self-guided tours of Liberty Island and Ellis Island. Visit the National Immigration Museum on Ellis Island. A guided tour of Battery Park, Manhattan. Ferry tickets to Liberty Island. 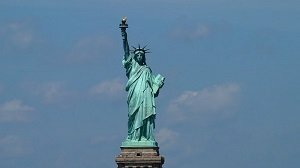 Audio guides for visits to the Statue of Liberty and the Immigration Museum. They value the great educational experience this activity offers. Most of them are very satisfied with the informative overview and the overall service. The tour is suitable for kids and adults alike. Fans of history and the Lady Liberty enjoy this experience the most. A great overview of the city of New York. An opportunity to move quickly between the city’s top attractions. A perfect introduction of the city's attractions for first-time visitors. 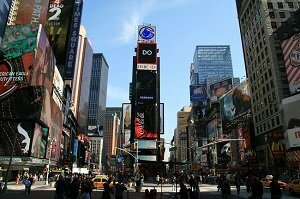 Discover the city of New York and is top attractions. Sightsee at your own pace an on your own itinerary. Benefit from complimentary services and discounts at venues around the city. A sightseeing ticket by your selected number of days. Audio ommentary on board in multiple languages. Optional harbour cruise and additional tours by bus. 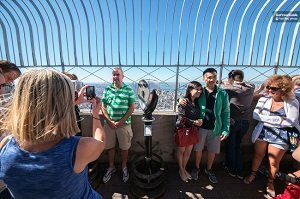 A great opportunity to observe New York from the highest observation platform in the world's western hemisphere. A chance to examine not only New York City from up high, but also its surrounding area. The complimentary exhibition takes visitors through various stages of New York’s development. Take extraordinary photos of the dramatic cityscape of the Big Apple. Learn how New York looked in the 16th century. Locate and admire city's top points of interest. Admission to the One World Observatory. Access to the Skypod experience. Travellers frequently mention the excellent assistance of the staff at the One World Observatory. They also say that they had an unforgettable experience at the observation point. Even those with a fear of heights can enjoy the stunning views from the observation deck. This activity is ideal for history buffs, too. A visit to one of the most prestigious museums in the world. Exhibitions depicting the history of the world since the time of Egyptian Pharaohs. An optional visit to a museum exhibiting modern art. Examine spectacular works of art originated through various time era’s. Have more time to explore the collection by skipping the entrance line. A priority entrance ticket to three separate sections of this art institution. Free Wi-Fi throughout the Metropolitan Museum of Art. They advise future visitors to plan an entire day for the visit. Most past visitors have a high opinion of the museum's collection. 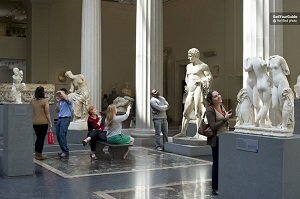 Every fan of art admires the collections on display at the Met. 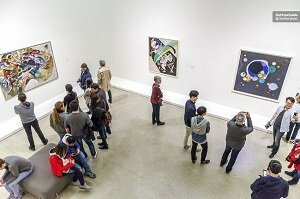 Furthermore, lovers of modern art can enjoy the modern and contemporary art exhibitions. A fantastic overview of the life that once existed on earth. A display of various remains and reconstructions of beings that once roamed our world. An insightful journey through the history of our universe. Examine the fossilised remains of early plant species and extinct animals. Learn the natural history of the planet. Have a fantastic experience as you learn about the planet Earth and its place in the solar system. A visit to the museum's permanent collections. Most say that a visit to this prestigious museum is an absolute delight. Comments also imply that you should plan as much time for a visit as possible. A visit to this museum is ideal for everyone who wishes to learn about the history of our world. Science fans, history buffs, and nature lovers will enjoy this museum. An entertaining and informative tour of the New York's Theatre District. A story about many iconic actors and legendary shows staged at Broadway's theatres. An actual story about how it is to be an actor or actress in a Broadway theatre. Go between the famous theatres of Broadway. Get better acquainted with the actors of Broadway, the famous and the not so famous. Learn the history and development of Broadway. A sightseeing tour of Broadway and accompanying narrative. Traveller have a very high opinion of the Broadway Theatre tour. They frequently talk about the excellent presentation of their tour guide. The tour is right for all fans of theatrical performances. If you plan to attend a show while you are in New York, you can get some valuable tips during the tour. A visit to one of the most unique museums in the world. An overview of the historical events that defined the 20th century. An exhibition about warfare and exploration of outer space. Examine battle airplanes on board a deck of an aircraft carrier. Tour the exterior and interior of an aircraft carrier which participated in the Second World War, the Vietnam War and the Cold War. Acquaint yourself with a space shuttle and a submarine. An admission to the Intrepid aircraft carrier. They agree that exploring the aircraft carrier and the submarine is a very rewarding experience. They also state that collection in this floating museum is extraordinary. 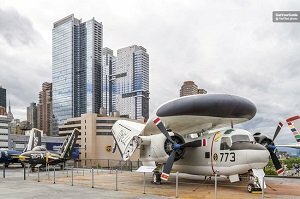 The tour of the Intrepid aircraft carrier is the right activity for people interested in warfare. History buffs also find the museum's collection very interesting. 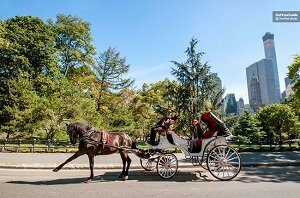 A carriage ride around NY's Central Park. An insight into how people got around in New York prior to the existence of motor vehicles. An introduction to Central Park and its points of interest. Benefit the audio commentary of you local guide as you tour the Green Lungs of New York City. Tour places of interest you will find familiar from watching various films. A carriage ride through Central Park. People that took an evening ride say that it is very romantic. They appreciated stops along the way to take photos. The carriage ride is especially suitable for couples. A day-trip to Washington, D.C., the capital of the U.S.A.
A panoramic sightseeing tour of the District of Columbia. A chance to visit the seat of the U.S. government and memorials to well-known Americans figures. Take a bus ride to Washington, D.C. Explore the National Mall and its memorials. Spend some time at one of the world's most outstanding museums. Round-trip transport by air-conditioned coach. Tourists that took part in the tour underline its high value. They also speak highly of the guides performance. The activity is ideal for people of all ages. If you are interested in grand architecture, historic events and memorable American politicians then you will find a day trip to the nation's capital very rewarding. A tour of Harlem and nearby areas. An uplifting Harlem Gospel experience at a grand church. An opportunity to acquire a deeper knowledge about the "Black Capital of the World." See top points of interest of Harlem. Attend an iconic Harlem Gospel experience which is sure to educate and delight. A tour led by a professional guide. Tour of a neo-Gothic church in Harlem. The participants in this tour state that the gospel experience is unforgettable. They also enjoyed a guided tour. The tour of Harlem is appropriate for all ages. It offers an opportunity to join joyful experience and learn about the neighbourhood. 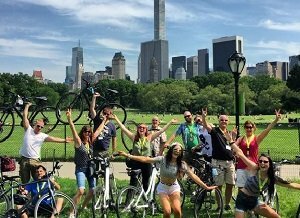 An enriching and recreational tour of Central Park by bike. An overview of various famous and hidden places of the park. The tour is conducted at a leisurely pace which allows the participants to take in the views and learn about the places passed during the tour. Hear interesting facts about Central Park. Tour places used as filming locations for many famous films and TV shows. Take great photos all over the place. The bike and all necessary equipment. A local guide with great knowledge. Tourists who took part in the cycling tour spoke very highly about the experience. They also say that their guide provided and excellent commentary and performance. Regardless of your actual physical shape, you won't find cycling through Central Park demanding. It is one of the most popular recreational spots in New York. Inside Central Park there are attractions and monuments which will appear to the interests of a variety of people. 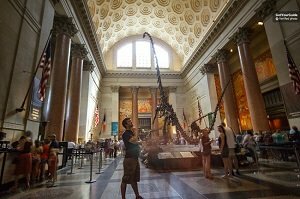 A pre-booked ticket lets you visit the best outdoor attraction in New York without queueing to buy your entrance ticket. A fantastic opportunity to take a break from New York’s busy city centre and get a breath of fresh air. Stroll the magnificent New York Botanical Gardens at your own leisurely pace. See a mesmerising array of colourful flowers and exotic plant species around the 250-acre park. Take some time to visit the garden’s temporary exhibitions and the permanent Enid A Haupt Conservatory. Full access to all public areas of the Botanical Gardens, including special exhibits, the conservatory, and the Everett’s playground. Fun tram tour of the park. Reviews are almost entirely positive for this New York City attraction. Travellers tend to agree that the flower displays and exhibitions within the New York Botanical Gardens are well worth a visit. 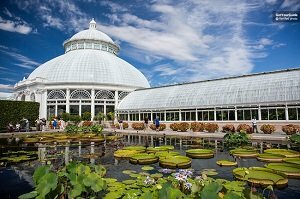 If you like flowers, artistic exhibitions, long walks on forestry trails, fresh air, and peace and quiet within one of the USA’s busiest cities, the you are sure to love the New York Botanical Gardens. This is one of the best art galleries in New York for contemporary and conceptual art. This is a fast track entrance ticket which you can use to make the most of your visit the Museum of Modern Art and to make the most of your time in New York City. Bypass the entrance queue and get access to all six floors of this modern art museum. Browse the works of Andy Warhol, Pablo Picasso, Salvador Dali, and more. Skip the line priority entrance to the Museum of Modern Arts. Free multilingual audio guide and visitor’s booklet. Complimentary pass to the MOMA PSI. 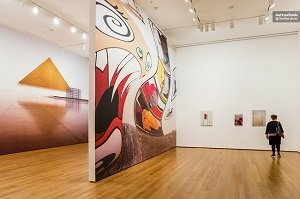 Travellers have spoken highly of the creative artworks hosted by the MOMA. Comments generally agree that the exhibitions are very interesting and thought provoking, while the collection has been described as ‘diverse’. Many visitors have said that the skip the line entrance tickets are very convenient would recommend pre-booking a visit to the museum. This museum is aimed at lovers of all thing imaginative. Those with creative minds will become engrossed in the many contemporary art pieces found inside the museum. The MOMA welcomes visitors or all ages and nationalities. A fast-track ticket to see brilliant contemporary artworks housed inside an architecturally unique building. Make the most of your time in New York with this convenient entrance ticket. Browse the exhibition of Impressionist, Post-Impressionist, conceptual, and contemporary artworks. Have the option of joining a free tour of the museum. Fast-track entrance to the Guggenheim Museum (all exhibits). Free introductory tour of the gallery. An informative multilingual audio guide. Many reviews comment on how easy the skip the line entrance tickets are to use and on how much time these tickets save. When it comes to the museum itself, visitor’s reviews are generally very positive and specifically mention the intriguing design of the building. Many travellers have pointed you will not be able to see many of the art works if you visit while exhibitions are being changed. This is the ideal museum for visitors who want to combine seeing inventive artworks and exploring an architecturally unique building. If you have already visited the most famous Art Galleries in New York and would like to see something a little different then the Solomon R. Guggenheim Museum is exactly what you are looking for. This is a once in a lifetime opportunity to see the Big Apple from a birds-eye-view. 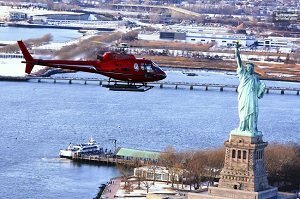 An opportunity to take a short but exhilarating helicopter flight around New York City. Guarantee your preferred time of day to take the flight by pre-booking your helicopter flight time. Climb aboard the flying apple and gaze down at the Empire State Building, Ellis Island, The Statue of Liberty, George Washington Bridge, and many other well-known New York landmarks. Take photo’s as you fly and share the experience with your fellow passengers. 12 to 15-minute helicopter flight. Port fee (if specified by the tour provider). Unsurprisingly this is rated as one of the top things to do in New York City. People who have taken the flights have said that it was an unforgettable and incredible experience. Travellers would recommend booking your flight time in advance. Unless you have a serious fear of heights you are sure to enjoy the Big Apple Helicopter Tour. This activity is not just for adrenaline seekers but also for urban photographers and for anyone who would like to enjoy the very best view of this iconic cityscape. This is a flexible self-guided tour of New York City with an informative audio package. Get to know downtown Manhattan with the aid of a downloadable audio guide. Learn about the famous buildings, monuments, and sites of the city. Use your free map to walk with confidence around the city. Enjoy the freedom to visit whichever city attractions you choose on your own time frame. Downloadable MP3 files and map. While taking this self-guided walking tour you will pass many attractions which are highly rated by TripAdvisor users. 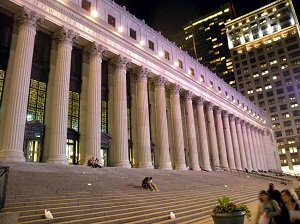 Many travellers will tell you that these attractions are defiantly worth a visit while taking a tour of Manhattan. Without a doubt walking is the best way to navigate New York’s busy city centre. If you prefer to take things at your own pace, without time restraints of having to wait around for other tourists then this self-guided tour is tailor made for you. It is aimed at people who want to see the top New York landmarks whilst learning about their history. Great for visitors who would like a more local approach to a New York walking tour.